CFC alumni are continually making waves in the Canadian and international screen-based entertainment industries – from awards to festivals, industry recognition, “it lists” and more. Here’s the latest round of updates and success stories for CFC alumni and residents from April 2018. CFC alumni took home five awards and three special awards at the 2018 WGC Screenwriting Awards gala. See the list of winners HERE. 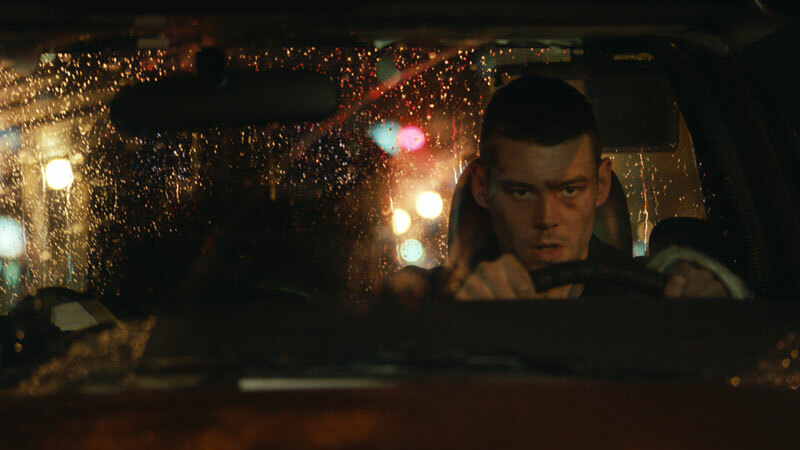 Twelve CFC alumni have made the Canadian Cinema Editors’ (CCE) final cut this year, earning 2018 CCE Awards nominations. See the full list of CFC alumni nominees HERE. The 2018 Leo Awards nominees have been announced, and we are pleased to share that several CFC alumni/residents and alumni projects have been nominated, including an incredible 10 nominations for ADVENTURES IN PUBLIC SCHOOL, produced by CFC Features and Motion 58. See the full list of alumni nominees HERE. CFC alumni won big at the 9th annual WIFT-T Showcase held on April 17 in Toronto. CFC alumna Reem Morsi and fellow alumnus Kaveh Mohebbi won the award for Best Screenplay for CFC short film THE DOOR. THE DOOR (directed by Morsi and produced by alumna Heidi Tan) was also awarded the Audience Choice Award. Read more HERE. Alumni short Loretta’s Flowers, from alumni Brendan Prost (writer/director), James Tracey (editor), Neil Haverty (music), and starring Harveen Sandhu and Matthew Gouveia (actors), will screen in the 2018 Cannes Short Film Corner. The film tells the story of a young queer woman who cycles between increasingly intimate encounters with three diverse individuals, but remains trapped in a pattern of insatiable longing on a long summer day in Toronto. Learn more HERE. 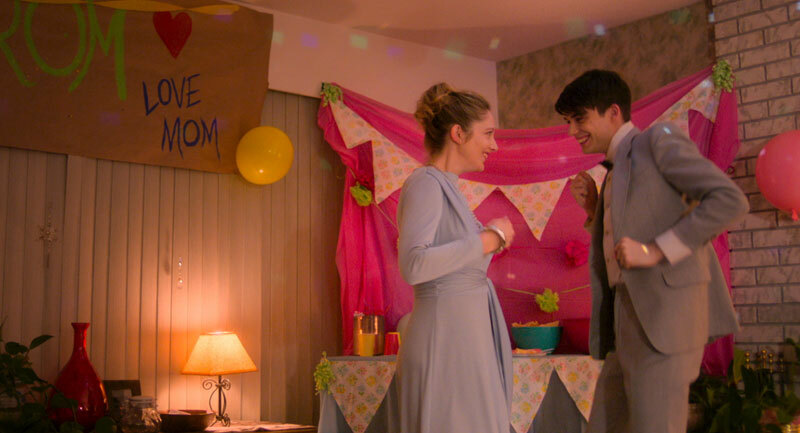 Additionally, Telefilm Canada spotlighted six Canadian producers who are registered to attend Cannes, including CFC alumnae Lauren Grant, Jessica Adams and Lori Lozinski, as well as current Telefilm Canada Feature Comedy Exchange resident Amber Ripley. Read more HERE. 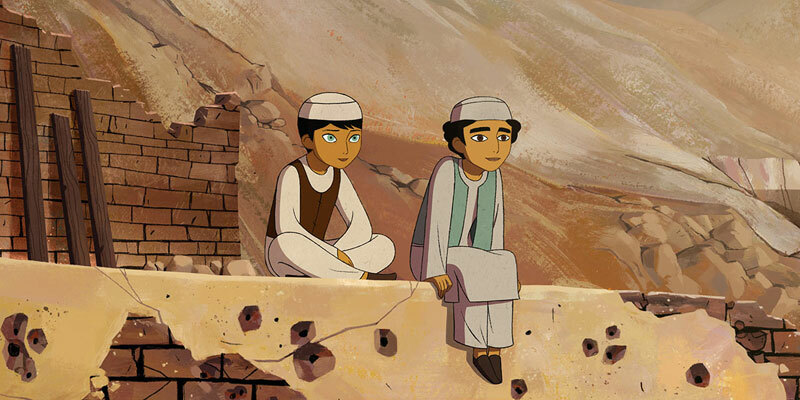 Academy Award-nominated alumni film The Breadwinner (co-written by alumna Anita Doron, produced by alumni Anthony Leo and Andrew Rosen) is one of two Canadian features selected for the Annecy International Animation Film Festival, which runs from June 11 to 16, 2018 in Annecy, France. Read more HERE. Six Canadian projects have been selected for Inside Out Film Festival’s second annual Finance Forum, including the following alumni works: How Black Mothers Say I Love You, from Clement Virgo, produced by Damon D’Oliveira; Honor Thy Mother, written and co-directed by Kathleen Hepburn, co-directed and produced by Charlie Hidalgo; Docking, produced by Alyson Richards; You Can Live Forever, produced by John Christou; and Queen Tut from Reem Morsi. More info HERE. CBC Actors Conservatory alumna Humberly Gonzalez will star in the upcoming horror feature Stranded, which follows six friends who head out on a snowboarding trip and become lost in their SUV. Read more HERE. CFC alumnus Jeff Barnaby (director of RHYMES FOR YOUNG GHOULS) is set to begin production on his upcoming feature Blood Quantum, which follows a tribal sheriff fighting against a zombie plague on an isolated Mi'gmaq reserve. Learn more HERE. 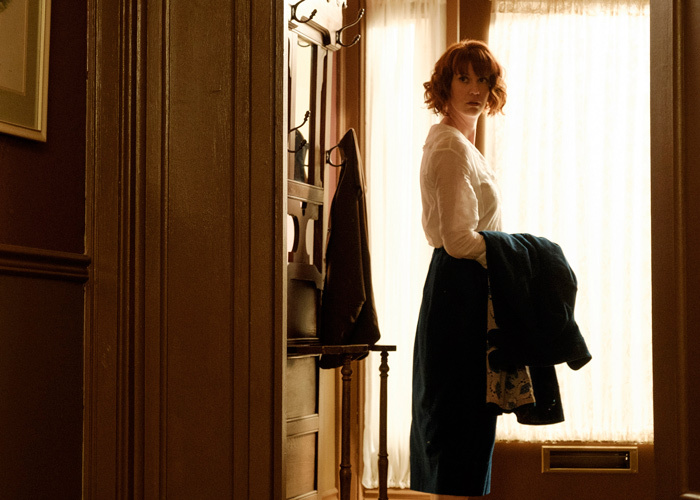 Frankie Drake Mysteries, co-created by alumna Michelle Ricci, has been renewed for a second season. Season 1 of the hit prohibition era detective drama was CBC’s second-most-watched drama after (another alumni production) Murdoch Mysteries. More info HERE. Burden of Truth has also been renewed for Season 2. Season 1 featured the work of alumni Jordan Canning (director); Kyle Irving (executive producer); Lynn Coady (consulting producer and writer); Roslyn Kalloo (editor); and Shannon Masters, Eric Putzer and Laura Good (writers). Learn more HERE. CBC has renewed dark comedy Little Dog for a second season. The series was created by CFC alumnus Joel Thomas Hynes, who also serves as star and an executive producer on the series alongside fellow alumni Sherry White (showrunner and executive producer), and Amy Cameron and Tassie Cameron of Cameron Pictures (producers). Production on Season 2 is set for this summer with the series expected to return to CBC’s winter 2019 lineup. More info HERE. Good news, Grey’s Anatomy fans! The hit series, which features actor alumnus Giacomo Gianniotti as Dr. Andrew DeLuca, has been renewed for Season 15 – making it ABC’s longest-running primetime scripted series. Read more HERE. Super Channel has commissioned a second season of Mennonite drug drama Pure, which sees alumnus Ken Girotti as series director and executive producer, and stars alumni Alex Paxton-Beesley and Cory Bowles. The second season is scheduled to begin production in Nova Scotia later this spring and anticipated to premiere on Super Channel in early 2019. More details HERE. U.S. streamer Hulu has commissioned a live-action TV series based on the Holly Hobbie brand that will be produced by alumni Anthony Leo and Andrew Rosen’s production company Aircraft Pictures and alumna Sarah Glinski will serve as showrunner and executive producer. The scripted series is to premiere in fall 2018 on Hulu, and will later be available on Family Channel in Canada. Learn more HERE. Netflix greenlit werewolf drama The Order, created, written and executive produced by alumni Dennis Heaton and Shelley Eriksen, which follows a college freshman who joins a secret society where he uncovers dark family secrets and a magical underworld. Read more HERE. Alumni Steven Hoban and Vincenzo Natali are set to executive produce the upcoming adaptation of The Peripheral, with Natali also set to direct the drama. More info HERE. Netflix has ordered sci-fi drama series Another Life, created by alumnus Aaron Martin (Slasher), who will also serve as showrunner. Read more HERE. Alumnae Rebeka Herron and Heidi Tan collaborated to launch new Toronto-based boutique distribution company Parallel Universe Pictures. Their first acquisition was Nobody Famous, from current Telefilm Canada Feature Comedy Exchange residents Sarah Rotella (director), Adrianna DiLonardo (writer), and Rebecca Swift (producer). Tan is another producer on the film, which is edited by alumna Maureen Grant and features music by Slaight Music Residency alumnus Spencer Creaghan. Nobody Famous and will have its theatrical premiere on May 25 at Cineplex Yonge and Dundas in Toronto before launching on VOD on May 29. More info HERE. Former CFC participant Stella Meghie is at work directing an episode of the third season of HBO’s hit series Insecure. See more HERE. Alumnus Anthony Del Col’s graphic novel Son of Hitler is set for a May release. The graphic novel, based on one of history’s most intriguing rumours, follows the never-before-told story of Adolf Hitler’s secret child and how this son was the key to ending World War II. Northern Banner has acquired Canadian rights to alumnus Cory Bowles’ political satire Black Cop. More info HERE. Have some alumni news to add/share? Get in touch at alumni@cfccreates.com.